A while back we were invited to a friend’s house for a potluck. One of our friends brought an Avocado Salsa with chips. I immediately had to have some since I have mad love for anything that has Avocados in it. I took a bit of my chip and what do you know, there was some Feta Cheese in!!! I nearly lost my mind. It was simply put delicious. I mean, let’s face it we Persians love our Feta Cheese and how can I not like anything that has Feta Cheese in it??!! Before I proceed further, let me say again how much I love Avocados. I can’t tell you what a happy day it was when I was first introduced to Guacamole when I moved to LA. 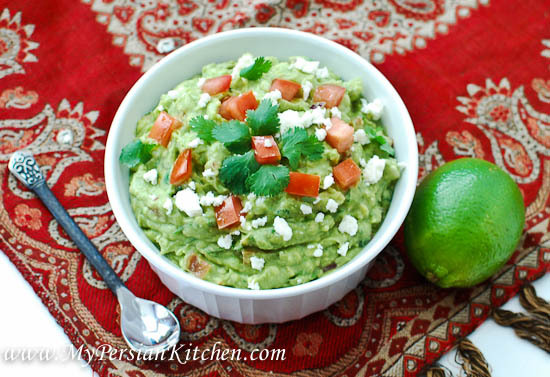 I suppose that it is no surprise that about 10 years or so ago I was nicknamed the “Guacamole Girl” by my friends Dawn, Thomas and their family. 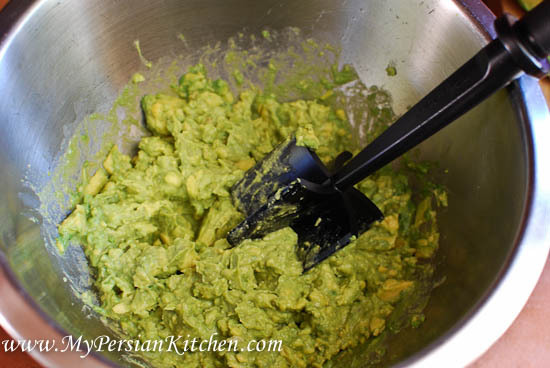 There was a time that I used to take all the ingredients with me to their gatherings and make the Guacamole right in front of everyone. In fact I was totally reminded of my nickname just a short few weeks ago by Thomas’ mom! 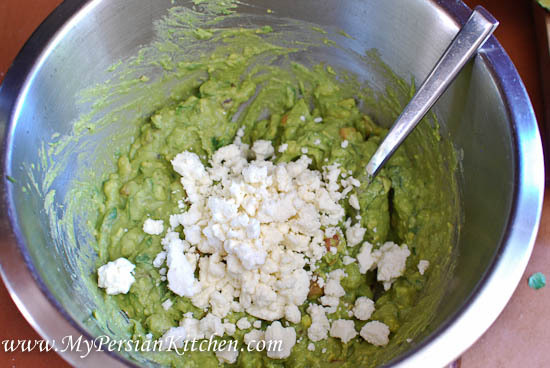 This Guacamole with Feta Cheese has been a huge hit so far. I made it on Sunday for today’s post and took it with me to a gathering that I was going to. Everyone raved about it! The Feta Cheese adds a certain je ne sais quoi that will totally stimulate your taste buds! I hope you all will enjoy it as much as the rest of us have been!!! 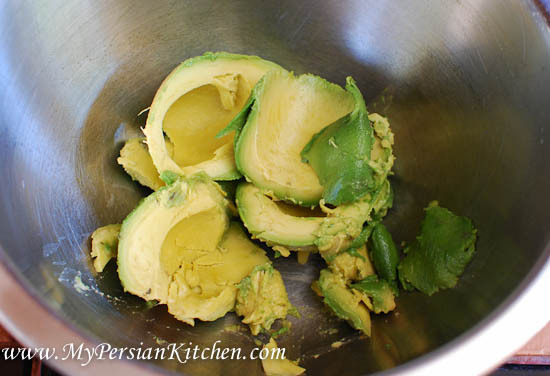 Remove avocado skin and stone and place in a bowl. 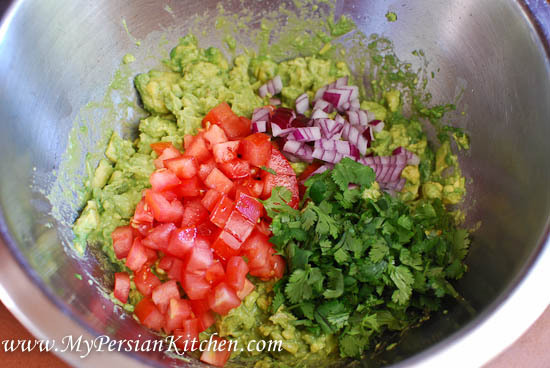 Add small diced tomato, onion, garlic and cilantro. Season with salt and gently mix until all nicely incorporated. Add Feta Cheese and gently mix again. Reserve some of the Feta Cheese to sprinkle on top. Serve with your favorite chips! Super easy and delicious, don’t you think??! !